One-he's a vampire and I'm with the vampires. And two-... well, I don't know what's two, but I'd pick Edward for sure. Edward all the way. Like Bella said IT WAS NEVER A CHOICE BETWEEN HIM AND JACOB. Don't get me qwong I 사랑 Jacob but it wouldn't be fair to him for Bella to chose him because she would alaways be in 사랑 with Edward. Jacob deserves someone who would 사랑 him completely. Plus Bella did wasn't really into him that way. Oh and Edward left because he thought he was protecting Bella so all those blaming him please quit hating him for leaving!!!!!!! If I were in Bella's position then I would have to pick Jacob. I mean Eward left you; who in their right mind would go BACK to that same guy. Besides Jacob is cute, sweet, HOT (both ways ;), and he would never leave you. Think about these words a friend once told me, "If 당신 사랑 something set it free, if it comes back to 당신 it is yours." Well, she went after Edward; Eward never came back on his own. So, 당신 understand why I said that. 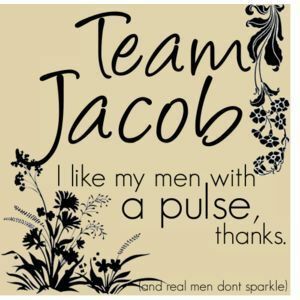 yes team jacob alll the way!!!!!!!!!!!!! Actually after seeing New Moon (honestly) i have no idea. In the movie i liked Jake so freakin` much that ive almost switched to team Jacob. While 읽기 the 책 im totally team Edward..thats strange but its a fact. So it depends on a lot of things. Probably if i was her,id pick Edward(like she did) i cant imagine how strong her feelings were. She gave up on her life ,everything. It takes a lot of courage. She couldve choose Jake,but she didnt and it means a lot. So if i was her,i suppose that id feel just the same...well,of course people are different,but still. Let's say if I'm in Bella's shoes, I would have picked Jacob. Quoting a dear fellow Fanpopper, "If that guy isn't your best friend, he ain't worth marrying." I really 사랑 Jacob and all, he's hot and just a really sweet guy. :) that's why I think he'd be an amazing best friend, like he was for Bella. So, I would have to choose Edward and have Jacob as just my best friend. :) because I know he would always be there for me...So would Edward but I guess I like him more? i would definitely pick Edward!!! if ur talking about character then Edward but if 당신 mean the guys in real life then it is all about TAYLOR LAUTNER! EDWARD!!! I 사랑 edward! In my own opinion jacob needs to get the fact that bellas loves edward and she will always choose him. She loved him before the birthday,she loved him when he left, and she loved him when they reunited and always will...Jacob is way to immatur to get that into his thick dog like scull of his!! Jacob:) He is hot sweet and come on a werewolfe ..warm and coozy!! Jake seems to be just a teenage horny guy. Edward is something 더 많이 :D a lot more! Jacob. He is healthy for her, warmer, gentler, and loves her so much. Oh and he's super hot. vampire is good....n edward is da best...off course...i wud like to go wid the guy who is so careful that the girl he loves is his 사랑 and prey as well......n wat not he does for her.he even tried do die in new moon....just becuz of the misunderstanding of bella suiciding from cliff..wat a guy!!!! It would probably be Jacob. 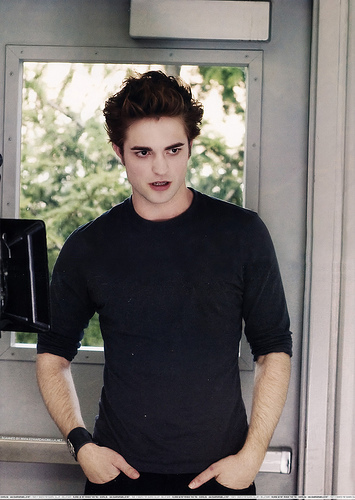 For one, Edward is kind of withdrawn from humans with the exception of Bella. I'd probably be 더 많이 likely to strike up a conversation with a Jacob type. For two, as much as Edward has shown self-control when it comes to killing Bella, I don't think I could deal with that kind of suspense. Of course Jacob's got the temper he has to keep in check too but it seems 더 많이 manageable, challenging but manageable. 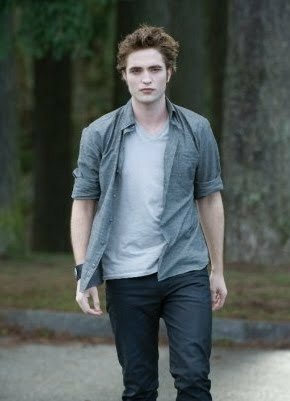 I would choose Edward he is perfect in all ways and even when he left, he left to protect Bella and he tried to kill himself in New Moon I am sure Jacob wouldn't hsve donr that. And according to me Jacob just had a major crush on Bella it wasn't even Love. And secondly Jacob is younger then Bella. Id pick Edward. Dont know why but ive always liked him, plus he has Alice as a sister and it would be just plain awesome to be her step sister. Jacob would still be my best friend though. 당신 can't make me say either of them ^^ Edward is better for her, but jacob is awesome too. Well for me i would pick Jacob because he just cares so much for 당신 and is sweet and kind. But if i were Bella i honestly don't know. I think i would pick Edward because he was the one i really did love. if I was Bella, then I'd choose Edward. he's sweet and romantic. i would feel 안전한, 안전 with him. Edward, he's sweet and 더 많이 mature.